The first time I saw David Low’s Through a Glass Darkly was at a local open-mic nite at an inner west pub. The other acts ranged, as they are wont to do on a rough night, from passionate tunelessness through two-schooner-Bowies to bedroom romantics and beyond. Needless to say, Through a Glass Darkly shone, and I made a mental note to keep up with what the band were doing in the future. What largely grabbed me that night were the songs written by guitarist and vocalist David Low. These were songs that came from an original place – songs that were informed by the past. Not the Stooges or Ramones past, but the artfully sophisticated songwriters of the past: McCartney, Elton John, David Bowie. Although delivered with a rock trio crunch, these songs had pop smarts and went somewhere. Low had done his homework and his grades were looking good. The danger of ambition in songwriting is that an alive mind can over-egg the mix and try to cram too many thoughts and ideas into three minutes (hence the success of Lennon-McCartney, Jagger-Richards etc where the frisson of clashing personalities does all the editing). The same goes for lyrics – what looks smart or poetic on paper can sound twee or clever-clever against three or four chords. Low’s songs for Through a Glass Darkly on that open-mic nite had some moments of too-clever or too many ideas, but the promise was overwhelming. Recently grabbing a review copy of their debut – Double Standard – I was glad to see these elements have been reined in to sharp effect. What we have is a punchy, sleek modern rock album that occasionally blurs its edge into dark alt.country but has a shiny chrome-tattoo rock and roll heart. The beautiful design and packaging of my 12” vinyl LP copy (go on, spend the extra $$$, it’s worth it) shows the commitment Low and the band have to all aspects of the music. Opener ‘End of the Line’ immediately struck me as unique in that mixer Luis Rojas has sat the vocal just below the churning guitars. This references much classic rock of the 70s – think Bowie’s ‘Watch That Man’ or anything from Lou Reed’s Rock and Roll Animal, the effect being of the voice fighting to stay atop the guitars – a highly dramatic and effective mix. 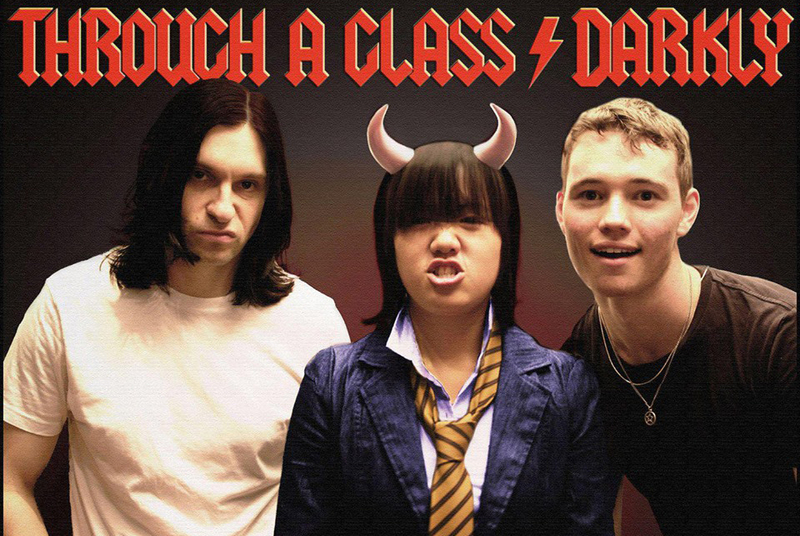 The classic rock atmosphere wraps around many of the songs here – ‘Double Standard’ and ‘Antisocialism’ bring the tough but creamy USA crunch of the Foo Fighters (a sound which in turn references everyone from Boston to Judas Priest). Low’s production and bassist/keys man Lachy Street’s recording keeps analog grit and heart to the forefront. The bass is mighty, Amelia Sim’s drums are fat as phat and the guitars are literally drooling mid-tones (a big gold star from me, Mr Low). TAGD’s take on the legend of ‘Stagger Lee’ could just be the best ZZ Top song they never recorded. ‘Dark Country’ at first seems a cry-in-your tequila pastiche – a minor key country tune of heartbreak – and would be if the lyric was ironic in any way. But it is not, and the song has heart. Lyrically, the whole album, while having some clever fun with pop-culture and words themselves, has enough heart to remain very human. Many of Low’s song-characters are complex, doubling back on their feelings – while the music struts with confidence, the lyrics mottle the songs with enough doubt and human imperfection to keep it interesting. Double Standard lives up to the promise of the band I saw many months ago on that small stage in Newtown. I am confident that it will take Through a Glass Darkly to larger and larger stages in the near future – this music is built for stadiums and nothing less. 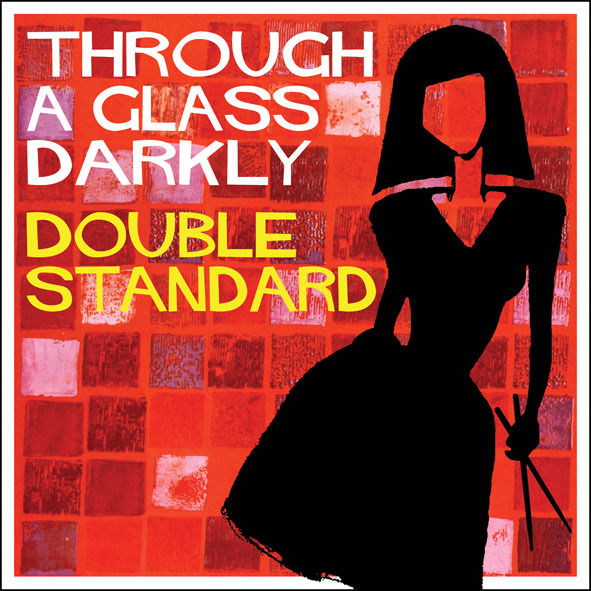 Through a Glass Darkly launch Double Standard at The Town Hall Hotel, Newtown on Saturday August 3 with special guests Scarlet’s Revenge and Upside Down Miss Jane. Tags: Absolute Monster Gentlemen, Allen Toussaint, Basement, Help Me Somebody, I Feel So Damn Good (I’ll Be Glad When I Get the Blues), Jon Cleary, Legends of New Orleans Tour, New orleans, NOLA, Occapella, Professor Longhair, Rachmaninov, Stagger Lee, Steinway, The Crescent City, The Philthy Phew, Tipitina, What Do You Want The Girl To Do? New Orleans piano funk master Jon Cleary is living proof that you don’t have to be born to a thing to become its leading light. Whatever you want to be, you can just go out and (with a lot of work – and, yes, balls of steel) you can be whatever you want. Twenty years ago, Cleary first got the NOLA bug almost 5,000 miles away, in Kent in the UK – the Englishman moved to The Crescent City to try his luck and is today one of the finest exponents of the New Orleans piano-vocal style. I saw him a little over a year ago as part of the Legends of New Orleans Tour along with the wizard of the genre, Allen Toussaint. Cleary performed that tour with his turn-on-a-dime rhythm section, The Philthy Phew. Prior to that he had toured Australia with his immensely popular and genre-defining group, the wonderfully named Absolute Monster Gentlemen. But tonight at Sydney’s Basement he was alone. Just him, a Steinway grand and a rapt audience, hanging on his every note. He emerged in cream suit and trademark big-brimmed hat (also cream) and explained that he had just come off a long, long flight and would it be cool if he played a little piano for us? Yes, it was cool with us. 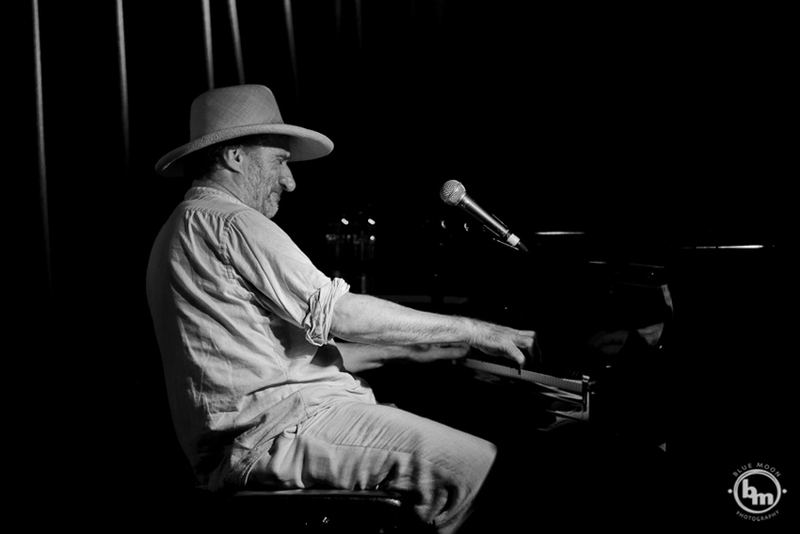 Which was fortunate, because before he sang a note Jon Cleary treated the Basement audience to a master-class in New Orleans piano virtuosity. Like a roots-Rachmaninov, Cleary – unencumbered by the frameworks that even the most telepathic band has to adhere to – took free flight, moving in and out of time, in and out of key, suggesting a blues here, a sing-song melody there. The great charm of New Orleans music is that it is as virtuosic as any form of jazz but it never loses its groove – its feet are on the earth at all times, and they are usually dancing. It is Jazz, but jazz for everyone. Cleary’s Steinway extemporisations gradually wound down enough for him to sing – it was his version of the murder ballad “Stagger Lee”, very freely done. When we finally got a chance to applaud, the place went wild. He reached into his back catalogue for the funk of “Help Me Somebody” and the bootie-roll of “I Feel So Damn Good (I’ll Be Glad When I Get the Blues)”. He also played a couple of selections from his new album “Occapella” – an album made up of only Allen Toussaint tunes. The reading of Toussaint’s knowing “What Do You Want The Girl To Do?” was particularly tender. Jon Cleary’s command of this music is mind-bending – again and again taking a simple form and twisting and turning it, inside out and upside down, while miraculously never taking it too far above-the-waist. 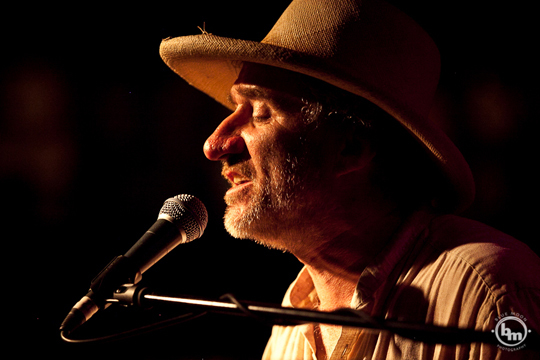 That is the genius of New Orleans music and the particular genius of the amazing Jon Cleary, the funkiest Englishman you are likely to meet. Photos by Katja Liebing, Blue Moon Photography.